Simon Persighetti is an artist, performance-maker and writer. His practice lives in the re-imagining of cities, towns and landscapes through an active and playful engagement with people and place. His performances, walking and relational arts projects have been commissioned by partners including Compass Live Art, Leeds, CCANW, Live Art Development Agency, Spacex Gallery, Live@LICA, and b-side festival. Simon is a Doctor of Ambulant Investigations and is an experienced educator, lecturing in site-specific performance at Dartington College of Arts (1997-2008) and Falmouth University (2009 until 2015). 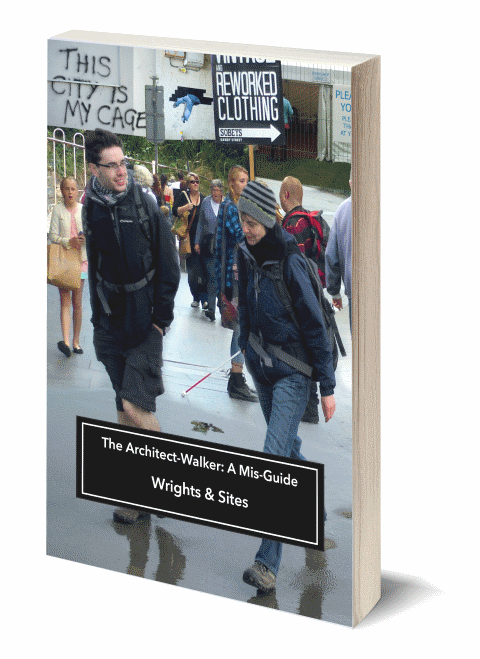 In preparation for Architect-Walker he ran a series of public Leaving the Building exploratory walks in Exeter (TOPOS), Bristol, Prague and with Students of Performance and Architecture at Aberystwyth University. More recently he has walked and talked the ideas of the Architect-Walker into existence as a guest artist for Urban Room, Folkestone (2017) for Falmouth University School of Architecture, Design & Interiors and Royal Melbourne Institute of Technology, Australia (2017). ​Since 2011 Simon has devised projects with artist, Katie Etheridge with works that operate at the intersection between architecture, community and performance. Their collaborative practice invites audiences to investigate their own relationships with the places in which they live, work and play. In Round the Public Houses UK (2016-18) they are mapping lost pubs and imagining the future of such social hubs.